Juliette Lewis and Giovanni Ribisi ride a bike. Sandy Wirth rides a bike. 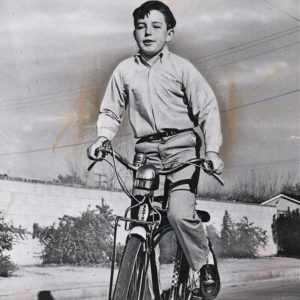 Jerry Mathers rides a bike.